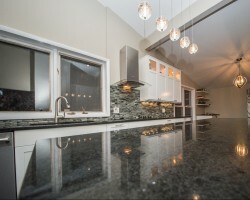 Remodeling your kitchen can be an affordable and easy process when you work with the best kitchen remodeling contractor, like Home Renovation Pros. This company works to find their clients cheap prices on material while maintaining the high quality workmanship of the entire project. 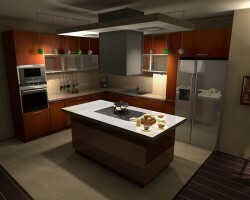 The team is there to help you with the design of the space and are even capable of creating custom cabinets and more. Reviews of the service say that the flexibility and the dedication to customers are some of the best things about hiring this company. Remodeling your kitchen is probably one of the biggest home projects you can take on, which is why so many DC residents seek the professional assistance of Melness Contractors when doing so. This company has years of experience that they are able to draw upon to offer you the highest quality workmanship in every aspect of the project. You will have perfect tiles, dry walling and painting in the room with when you hire this team to complete the renovation. Signature KAB is one of the local remodeling companies that focus on the old fashioned way of using their skilled employees to achieve the greatest results. When you work with this company, the first thing that will happen is a consultation with the designers. You will be able to discuss your likes and wants and then the designers will work to come up with the best options. 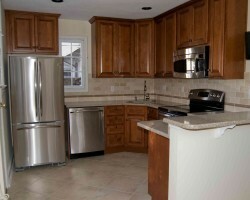 Once you have decided on materials, the expert contractors will work to implement the plan to perfection. 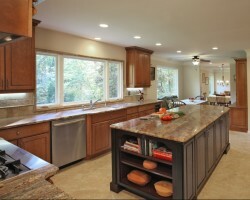 Euro Design Remodel has helped countless homeowners create beautiful and functional kitchens on time and on budget. This company has experience that allows them to bring their customers through the renovation process to make the experience as efficient as possible. 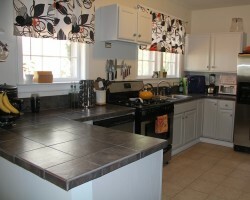 This company knows that their continued work as a Washington DC kitchen remodeler relies on total customer satisfaction, so that is exactly what you can expect from working with this expert team. Reviews of this company make it clear that the end results are always flawless.